The Officer for the site development of the Faculty of Engineering (Prof. Merklein) is responsible for all building and construction matters relating to site development at the Faculty of Engineering and is a contact for the Executive Board, University Administration and all planning managers and co-ordinators involved in this area. The position also covers the leadership of the working group for the site development of the Faculty of Engineering and facilitates communication between the Faculty of Engineering and the Executive Board. Prof. Dr.-Ing Marion Merklein, born in 1973, graduated in Materials Science at FAU in 1997. After completing her doctoral degree in 2001, she achieved her habilitation in 2006 and promptly received an appointment offer from the University of Saarland. Professor Merklein declined this and subsequent offers from renowned universities in Scotland and the USA in preference for the FAU, where she has held a professorship at the Chair of Manufacturing Technology since April 2008. From March 2010 until September 2011, she was the first vice dean at the Faculty of Engineering and she was subsequently appointed as the dean of the Faculty of Engineering in September 2015. Professor Merklein’s expertise is welcomed by many committees and scientific associations. She is a member of Arbeitsgemeinschaft Umformtechnik, the German Academic Society for Production Engineering, the International Academy for Production Engineering, the German National Academy of Sciences, the Berlin-Brandenburg Academy of Sciences and the National Academy of Science and Engineering acatech. Professor Merklein is also a member of several committees of the German Research Foundation and the German Council of Science and Humanities. 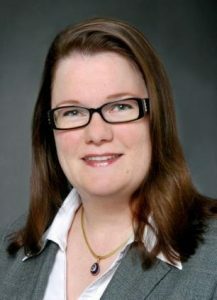 Merklein is also a member in several research networks, some of which she also co-ordinates and a member of scientific committees of international conferences such as the International Conference on Technology of Plasticity, SheMet and Numisheet. As an outstanding researcher she has also won numerous awards including the Heinz Maier Leibnitz Prize and the DFG Leibniz Prize. In addition, she regularly contributes to scientific journals as an expert editor and reviewer. Professor Merklein was appointed as the Officer for the site development of the Faculty of Engineering in January 2017.